My three-year-old daughter runs unsteadily down a steep road covered in wet leaves. “Careful,” I tell her. She doesn’t fall, but soon she is far ahead of me. I glance back to check on my son, then turn to see my daughter slip off the road and into a shallow canal. She lands awkwardly, striking her head against a concrete pillar, then falls face down in the water. I start to run, realising with horror that she will drown before I reach her. Then I wake up in a dark hotel room in western Myanmar, muttering “Thank god, thank god.” I was dreaming. The dream was easy to explain: I was channeling my anxiety about children I had met in the Rohingya displacement camps dotted along the coast of Rakhine State. Naked, pot-bellied kids much younger than mine tottered through a squalid landscape there was no waking up from. I asked many Rohingya mothers what they worried about the most, and they replied, in this order: Our children getting diarrhoea; our children not going to school. Later, they have another worry: Our children leaving. Thousands of Rohingya, many children among them, leave on boats to seek jobs in Malaysia; they are routinely waylaid by human traffickers and held for ransom in Thailand. 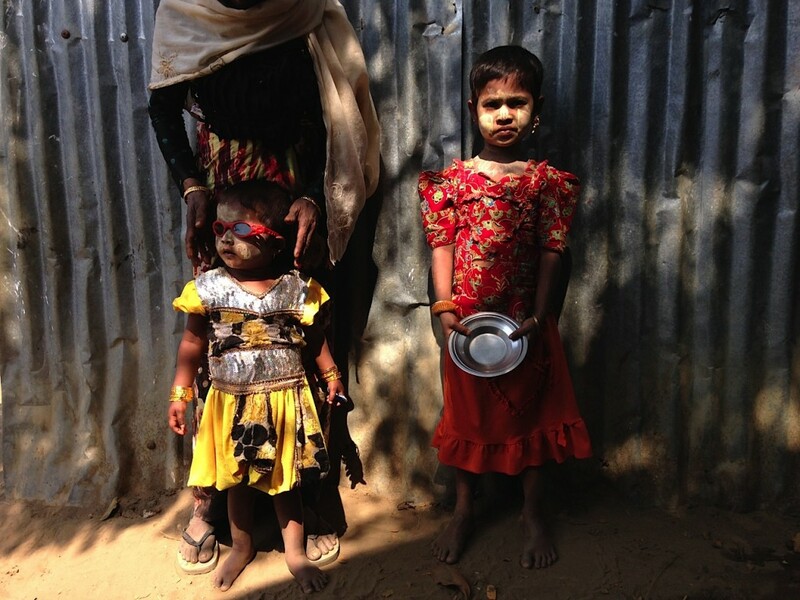 At an internet shop in one displacement camp, I listened to Rohingya parents – mostly mothers – struggle to piece together families torn apart by poverty, exploitation and distance. Some argued with traffickers for the release of sons and daughters. Others had tearful reunions with children now working in Malaysia. A woman called Robizar spoke via the internet to her 18-year-old son Abdul, who had left ten months ago. He had reached Malaysia, so Robizar no longer worried about his safety. She just missed him, terribly. “Son, I can’t tell you how it feels to hear your voice,” she said. Then she buried her head in her arms and wept.